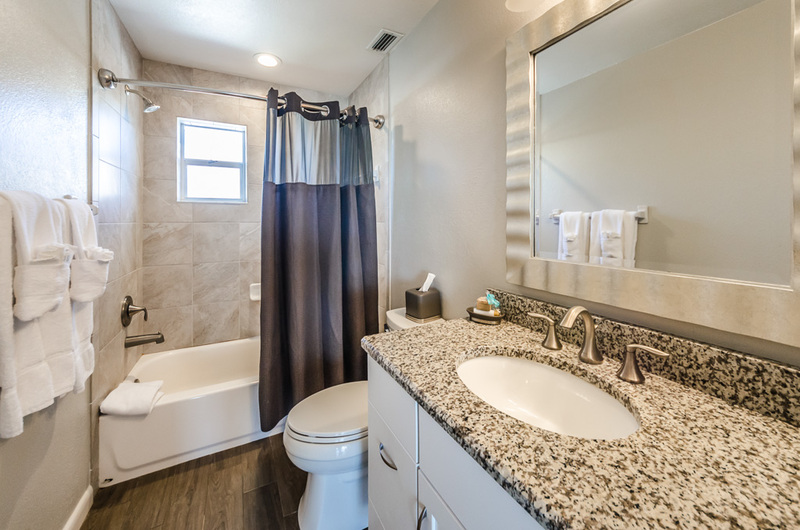 Fully remodeled bathroom with granite countertops, porcelain tile. Toiletries provided. Linen closet also includes iron/iron board, hairdryer, and 2 beach towels.